Now that's explained, it's onto my weekly recap! The week started off pretty normal. Uneventful and unexciting. The professor was in the US for work, so I was pulling double duty with the little dude, but all was fine if extremely cold. Then, on Thursday, 'The Beast From the East' hit us. 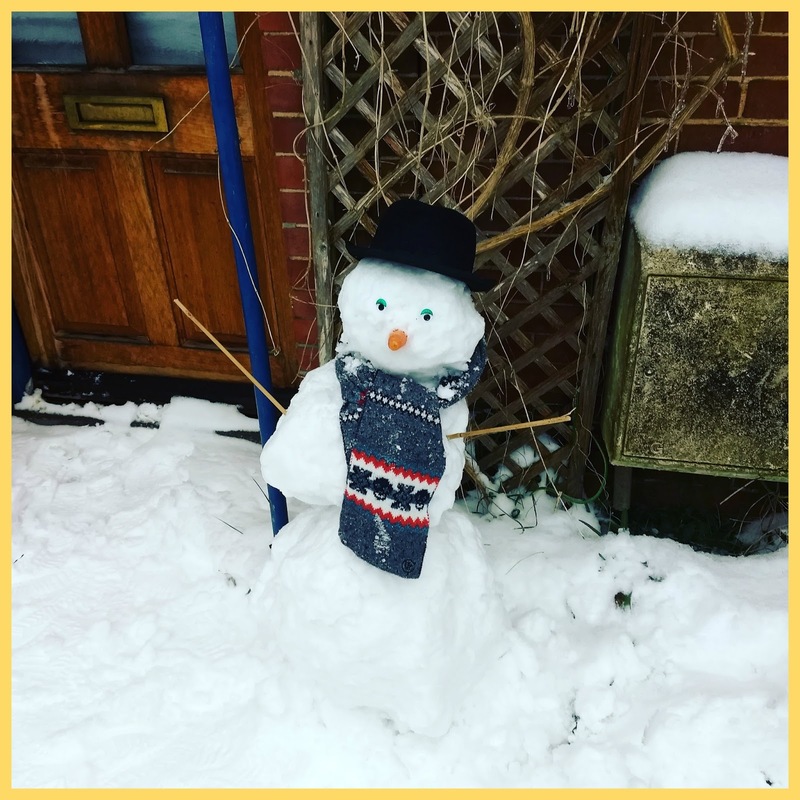 The UK doesn't do snow well. My work site was closed, due to safety concerns, as was the little dude's school, much to his annoyance as he wanted to wear his World Book Day costume! The professor managed to get home from the airport before the weather got too bad but then we got snowed in. Gotta love living in a rural location! Work and school were closed on Friday too but after the first snow day and a half, I was over it. I'd have probably loved being tucked away with my book if the little dude hadn't lost his mind by the end of day two and driven me and the professor out of ours! Anyway, things are getting back to normal now. The temperature has risen above freezing and rain has started melting the snow. As long as the temperature doesn't drop again - making everything freeze - then we'll be good for Monday and it's back to work and school! OMG! All the LOVE for this book. Seriously. A 2018 favourite for sure! Oh, flippin' heck these were grim. Dark. Not even a little romantic so I've no idea why they're classed as 'Dark Romance' but maybe that comes later when the main character develops Stockholm Syndrome? I've been good and I'm focusing on my Take Control Reading Challenge and reading books I already have. 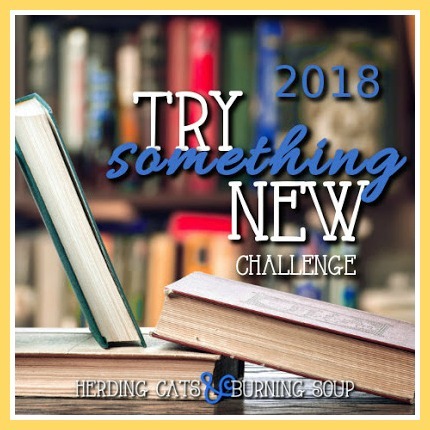 This week, I removed 3 books from my TBR thanks to this challenge! Not bad when you consider the challenge began on Thursday. Oh, okay, they were novellas but they were over 100 pages each so they count! 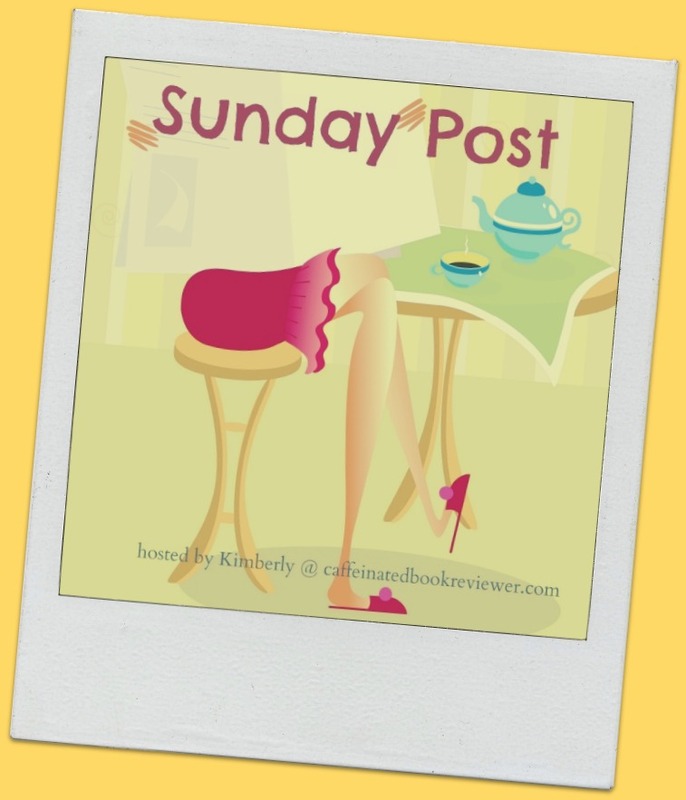 This week, I read some Dark Romance which is a genre I don't really go in for. I mean, I've read some darker books in the past but they're the light side of Dark Romance... If that makes sense? The Uncovering You series was DARK, as I mentioned above, and really messed up. But, I read them and they count towards trying something new, so yeay! 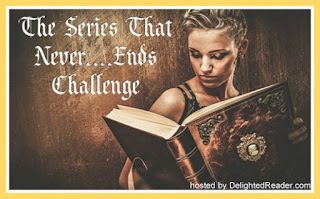 My goal on this one was to catch up with Sherrilyn Kenyon's Dark Hunter series. 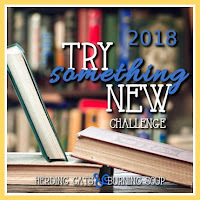 So far, I haven't read anything towards this goal but I'll try to include one or two this month as it combines nicely with the Take Control Challenge. I also posted about the little things that irritate me over on My Sunny Buzzy Life. I don't have anything planned for this week! I'm trying to catch up on reviews so I'll be writing and posting some of them and I'll be doing plenty of reading. I don't know how people live normal lives in places with snow. I couldn't. I've hated all the cold this winter here along the sunny Gulf Coast of Texas. In the south of England, you don't get it too regularly. Back home in Scotland? Different story. I was so grateful that we did not get any snow accumulations from the nor'easter. My daughter was in Syracuse visiting her college friends, but she didn't even blink at the foot of snow they received (that's how they roll up in central NY). At least you built a little snowman. I have such an odd relationship with Zapata. Overall, I will like the story, but I feel like her books are too long. If she could get a better editor, I think her books could be great. I was trying to get my daughters to make a snowman but once the power went out...Well, they got frustrated knowing they couldn't warm up. I am riding out the storm that took out our power at a friends. So surreal looking at all the downed trees and power lines cut in half. They say we won't have power to our area till Wednesday!! Have a good Sunday! Wow, that's a long time to be without power! Fingers crossed it comes back sooner. Given the magnitude of the Beast from the East, and what the Northeast US has been experiencing with the deadly nor'easter, I'm grateful that all we got here in Virginia was wind and some coastal flooding. It did quite enough damage as it was. (Thankfully, things are fine at our house, though some friends and neighbors lost trees, sheds, roof shingles, and the like.) Hopefully the weather will stay warm enough, and the little dude can get back to school tomorrow! 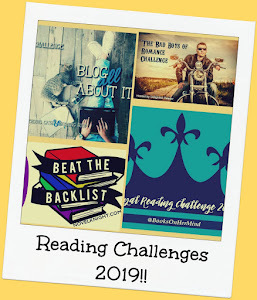 Sounds like you're off to a great start with the Take Control of Your TBR Challenge. Three books in as many days! I'm still finishing up a trilogy reread I started in late February, so I don't have a single book read for the challenge yet. Between work and other commitments, it's been hard to find time to read recently. I really needed a reading boost, I was falling crazy behind on my goodreads target for this year. Thankfully, things were pretty much back to normal by Monday. Fingers crossed that's the last of it until winter comes back around! -22?! That's nasty. Colder than I think I've ever experienced. Wow sounds like you got hit by the storm pretty hard! Hope it all melts soon. Nice snowman pic! Good luck with your challenges, and hope the week ahead is a good one! Thank you Greg, have a good week! We don't get snow here in Las Vegas often. Maybe every 8 years we get an inch or maybe 2. That's not often though. Lol, I have to admit that snow is not something I'd ever associate with Las Vegas so every 8 years is surprising and pretty cool! The same thing happens here where I live when it snows, the whole state pretty much shuts down. I'm alright getting paid leave from work but sometimes not being able to go anywhere will drive you crazy. Hope the weather is better Monday. Oh yeah. Thankfully, I can work from home and if I don't have enough work to cover full hours, I can book to a shut down code so still get paid. I really feel for those who aren't so lucky. Sounds like you had some crazy weather! I am glad the professor got home before the worst of it. It doesn't snow here, and so any snow would be quite a surprise. We do sometimes get the freezing temperatures though. 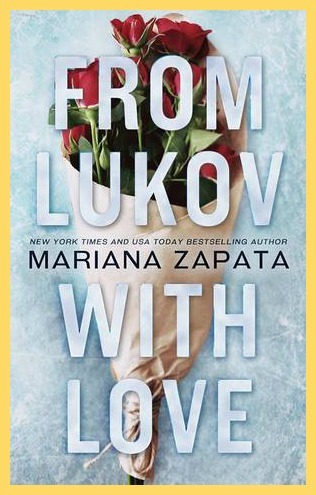 From Lukov With Love sounds really good. I hope you have a great week! Sorry about all the snow, but I'm glad that seems to be over with. I love seeing all the World Book Day costumes on various blogs. Great job on the TBR challenge! That's awesome. They've rescheduled for Friday, so all the hard work wasn't wasted and he's happy again, lol. Oh no! I hope the snow melts cleanly so your little Dude can get back to his routine. I think I'm like you with Dark Romance. It's really not something I get too into, but every once i a while I find something "lighter" that catches my interest... although I have no problem DNF'ing those if I make a bad choice. Also really want to give the new Zapata book a try! This Dark Romance series is messed up... Still not ready to quit but I needed a break before reading beyond book 3. If it was my cousin, he'll be happy skipping school, lol. Hope your little Dude was still able to wear his costume :) And wow, you are doing great with your challenge :) Ganbatte! Being snowed in and reading sounds fabulous... but if I was trapped indoors with a child, maybe not so much. LOL I’ve yet to read anything by Zapata but I’m hearing phenomenal things about From Lukov with Love! This has been one wacky winter! We're getting a cooler week ahead which is nice since we've already been in the upper 80's with pollen everywhere. I used to like dark romance but I can't handle it anymore. My reading tastes have changed too much. It's just so grim! Where is the humanity? I think I might try something else on my 'try something new' but haven't yet given up on this series... The next one will be a decider, I think. Oh we got some snow last week here (just over the 'pond' in the Netherlands) but nothing as bad as in the UK. I hope things can go back to normal for you this week. Being stuck isnide with a kid is terrible. I already hate rainy days with my toddler haha. Oooh, yeah. I remember climbing the walls when I couldn't take him outside and tire him out when he was a toddler, lol. Good luck! Have fun with the snow. I mean I'll take it if you hate it so send it over! :D We really need the moisture.